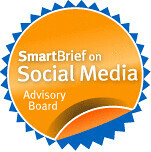 Note From Beth: Since 2007, I've been using, adapting, and remixing the Social Media Gamesocial media workshops for nonprofits. In fact, just last month, I took it to India. Last year, I facilitated a version of the Social Media Game for Packard Grantees as part of a convening on Network Effectiveness in Washington, DC. Dave Witzel was a participant in the workshop and thought the game could be adapted as apart of training on social media at the staff retreat. The big challenge with training is the challenge of transfer - after people go through a training - do they actually put the knowledge and skills into practice? Also, the game is licensed under creative commons - which means folks are welcomed to use as long as share and share like (with attribution). EDF has embraced the spirit of this sharing - not only remixing a version of the game for their organization,but also sharing back the materials and what worked! That's why I invited Kira Marchenese, to write a guest post about has happened since the training last year. Last fall, we marched all 350 or so Environmental Defense Fund staff through two days of a social media challenge. Looking back, I’m happy to report that the experiment paid off. We know that very soon, social media will no longer be optional. Already, some of our advocacy work is progressing in large part because of savvy use of social media (see our blog about chemicals and toxics). We have a mix of staff who dived into social media long ago (see our business innovation blog and green business twitter feed), and others who have maybe sort of heard of Twitter. We wanted to give everyone a chance to get more familiar with the tools, and, more importantly, understand how social media is relevant to their goals. View more presentations from Eric Schwartzman. •	Everyone attended a 90-minute presentation by Eric Schwartzman on what social media is and why we should pay attention. He’s energetic and knows his stuff, so it was a good start. •	A few EDF staffers joined Eric on stage to share what they’ve done with social media. This was really important – hearing colleagues talk about their posts being read by EPA officials or members of international negotiating teams made the point in a way no consultant could. •	We broke into teams of 40 to 70 people, based on the type of work we do. For example, everyone who works on ocean issues was on the same team. Each team received a challenge in their field that they had to meet through social media. •	Each of the six large teams divided again into tables of 10. At the small tables, we played an EDF version of the social media game developed by Beth Kanter and David Wilcox. •	After each table developed a strategy, the large teams picked one strategy each to develop a pitch around. They spent the next 24 hours refining the pitch. And then the fun really started! Each team pitched their idea to the full EDF staff. The pitches included costumes, music, video filmed on-site, mock-ups, and social media demos. We all voted, and the winning team got budget money to fund their social media plan. How did it go? People were extremely engaged. Every EDF staffer had to do this. Our biggest worry was that people would find it irrelevant to their work and would check out. Breaking up into small tables worked – I saw table after table of people leaning in, standing up, gathered around flip charts. I didn’t see anyone checking their Blackberry, which was pretty amazing. And people from assistants to VPs poured energy into crafting the pitches, you can see from the scene at t-minus 3 hours and t-minus 30 minutes. And that made the presentations really good. Teams took ownership of their ideas and were revved up to show them off. They threw themselves into writing scripts and filming, gathering costume pieces, and otherwise doing much more in 24 hours than I would have thought possible. Even the teams that spent the least time preparing gave polished overviews. The “game show” conceit made it all more fun. Our host, Rachel “Seacrest”, and the judges did a great job of moving things along and lacing the presentations with some clever silliness. The audio-visual crew did a top-notch job juggling all the video, countdown clocks, slides, props and miking, adding to the sense that this social media stuff is really big-time. We could have refined the structure of the two days. Even with the tailored materials, and a dry run, there were many things I’d do differently next time. If you’re considering running this game yourself, definitely check out what we learned! Lots of great ideas. EDF staff came up with some really interesting ideas. Not every table had a social media plan ready to execute (”handing out flyers” wasn’t one of the social media tools we encouraged!) but several of them are already being executed. Did it make a difference? Three months later, what do we have to show for it? Or, in other words, should other organizations consider doing this? Here’s what we’re seeing. An explosion of EDF bloggers. 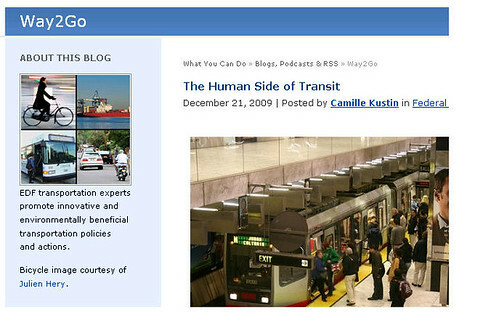 We have a new transportation blog, Way2Go, and new participants in our international climate talks blog. The contributors to our blog about Texas energy re-tooled how they write and edit posts to make it more flexible and inclusive. And two more new blogs are on the way. But I’m most pleased that EDF staff are evaluating how blogging will help achieve their goals, not just blogging for the sake of it. One of the best conversations we’ve had is with a department that decided to put off blogging for now, since it made sense to invest in other tactics first. I love seeing our staff make smart, well-informed choices. Not just the usual suspects. We’ve always had a small but energetic group experimenting with social media. We’re now seeing both interest and confidence about social media from people who were never part of that experimental vanguard. Lauren Guite, our online team’s outreach coordinator, says that not only are these “unusual suspects” truly interested, but she’s impressed with their understanding of why the tools are important. Plans to re-run the game. Three different groups have come to me asking for help re-running the game to generate ideas for specific projects. I can’t think of a better indicator that people found it useful. Biggest challenge now: How to find the time? We had to cut staff last year, the economy remains rough, and the planet needs a lot of saving. When staff choose to engage in social media, they spend less time on something else. We’re seeing this play out in a cycle of enthusiasm and guilt. People get excited about something — tweeting, setting up Google Reader, signing up for Facebook. But other priorities get in the way, and it becomes just something else that’s still on their to-do list the next week. They feel bad when we check in with them and they haven’t gotten to it yet. In the big picture, if people see results from social media, they’ll keep engaging, and if they don’t see results, they shouldn’t feel bad about stopping. But getting started requires a leap of faith that time spent trying social media is time well spent. And when there’s so much going on, it’s hard to make that leap. The time we spent on this at the retreat definitely helped amp up the enthusiasm part of the cycle, pushing more people into making the leap of faith. Kira Marchense is the Online communications director at Environmental Defense Fund. Beth, we just ran the game again a couple of weeks ago, and we're particularly excited because it turned into a real social media plan that we will execute...I'll share more when the project launches later this spring. Thanks for all your support and enthusiasm!